Eight hundred years ago, relatively small armies of mounted warriors suddenly exploded outward from the cold, arid high-elevation grasslands of Mongolia, and conquered the largest contiguous empire in history. Led by Genghis Khan and his sons and grandsons, the Mongols briefly ruled most of modern-day Russia, China, Korea, southeast Asia, Persia, India, the Middle East and eastern Europe. They reshaped world geography, culture and history in ways that still resound today. How did they do it? Among the forces at work: the Mongols’ fast horses and brilliant cavalry tactics; their openness to new technologies; and the political genius of Genghis himself. Now, a research group is looking into a possible other factor: climate change. The idea may have implications not only for our understanding of history, but for modern Mongolia and the wider world. Tree-ring scientists at Columbia University’s Lamont-Doherty Earth Observatory have worked in Mongolia since 1995. In 2010, Lamont researcher Neil Pederson and Amy Hessl of West Virginia University were seeking old trees for a study of wildfire history. High in the Khangai Mountains, north of the steppe where the long-disappeared Mongol capital of Karakorum once lay, they explored a nearly solid-rock plain of hardened lava left by a volcanic eruption some 8,000 years ago. Growing out of fissures and thin soils were thousands of gnarled, stunted larches and Siberian pines–a tree-ring scientist’s treasure. Annual rings of many species reflect rainfall or temperature in predictable ways. These can be read like books; and trees in the driest, harshest sites like this are exquisitely sensitive to rain, live to extraordinary ages, and leave trunks that may stand for centuries after they die. They are truly ancient manuscripts, writ with a fine hand. Pederson and Hessl analyzed 17 trees to chart a yearly record of rainfall back to 658 AD. They saw that from 1211-1230—the exact time of the Mongols’ rise—central Mongolia saw one of its wettest periods ever. That time also was unusually warm, as shown by a 2001 paper from other Lamont researchers. Pederson and Hessl reasoned that the clement weather could have brought an unusual boom in grass production—and thus a boom in camels, yaks, cattle, sheep and other livestock that have always comprised the country’s main wealth. A glut of war horses–each Mongol cavalryman was said to have five or more—could have enabled fighters to travel like never before, along with a mobile meat supply. “The weather may literally have supplied the Mongols with the horsepower they needed to do what they did,” says Pederson. He stresses that the idea is still based on only a small sample, and more data is needed to draw firm conclusions. 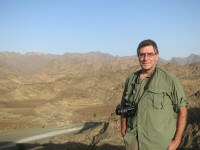 Pederson, Hessl and an interdisciplinary team including Mongolian scientists are now exploring the hypothesis, with a $1.4 million grants from the National Geographic Society and the U.S. National Science Foundation. The work will include not only further analyses of tree rings, but lake sediments, historical documents and other sources. Rings of ancient trees provide key insights into past climate. In Mongolia’s rocky Khangai Mountains, ecologist Byambasuren Oyunsanaa and biophysicist Damdin Suren Sodov cross-section a dead trunk that easily could have grown 1,000 years ago. 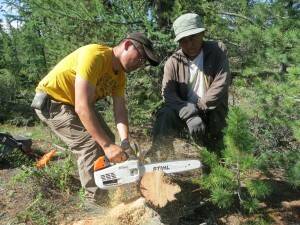 In summer 2012, Pederson, Hessl and several Mongolian colleagues spent a week gathering more tree-ring samples. Hiking over the jagged Khorgo lava field hauling chainsaws (used for cross-sectioning dead wood) and corkscrew-like tree-corers (for harmless straw-like samples from live trees), they sampled hundreds of trees. Analysis this time—still in progress–found trees as old as 1,700 years, recording roughly the same arc of weather. 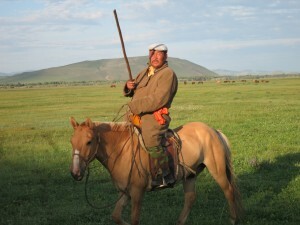 The team also scouted lakes in the grasslands below, where herders for centuries have driven livestock and horses. Like tree rings, lake-bottom sediments build up year by year. Avery Cook Shinneman, a biologist at the University of Washington, plans to analyze sediments at selected lakes in order to estimate abundances of livestock over time. This will be done using varying levels of fungal spores that live in the dung of grazing animals, and algae fertilized by the dung. The data will be fed into a model developed by Hanqin Tian, an ecologist at Auburn University in Alabama, who studies the weather of modern Mongolia and its relation to grassland productivity. The Mongols left few written records, but Nicola di Cosmo, a historian at the Institute for Advanced Study in Princeton, N.J., will look into contemporary accounts from China, Persia and Europe for clues to climate and military events. From all this, the researchers hope to develop a picture of how sun, water, soil and animals might have created an energy system that the Mongols could have tapped into. The idea that shifting climate can influence civilizations has gained traction in recent years. For instance, in 2010 a team from Australia, Vietnam, Thailand and Japan led by Lamont tree-ring specialists showed that the 14th-century Angkor civilization of Cambodia and later kingdoms rose and fell based on rainfall, although other factors were almost certainly involved. The Mongols could have suffered a climatic setback, too: a cold snap in 1260-1266 and subsequent return to more normal weather in Mongolia appears to coincide with the decline of Karakorum, whose heyday lasted only 30 years. The empire soon fragmented. Today, barely anything of Karakorum remains but a giant stone turtle that once marked one of its corners. Layers of sediment in lakes where herders have watered animals for centuries may contain clues to past numbers of livestock. Here, a grad student scoops mud as cattle move in. Though the center gave way fast, the Mongols’ influence runs deep. In the West, they are stereotyped as ruthless invaders; but in fact by unifying huge territories (including what is now modern China) they brought peace and economic stability to the people of many long-warring smaller fiefdoms. Rival rulers who joined them were left in place (although they had to pay taxes), and the Mongols made it a policy to leave common people alone to follow their own regional customs and cultures. There is a case to be made that the Mongols in fact originated many modern governmental concepts: religious freedom; state-sponsored agricultural research; an international postal system; and civil-service appointments based on merit, not aristocratic pedigree. The last ruling line of Genghis Khan’s descendants survived in central Asia’s Bukhara region until the 1920s, when they were unseated by the Soviets. The research may have ramifications for a rapidly modernizing Mongolia and beyond. Temperatures near today’s capital of Ulan Bator have gone up 4.5 degrees F in the last 40 years—well beyond the global mean. But it is not clear whether warmer weather will help the nation, or hurt it. Still generally cold and arid, Mongolia is the world’s most sparsely populated nation (3 million people in 600,000 square miles) but population is growing. It is still powered by livestock—now up to 40 million head, possibly beyond its sustainable carrying capacity. There is a drive to raise more crops, but only 1 percent of the land is arable. A huge copper mine opening soon has brought the first long-distance paved roads, but also growing competition for water. The country has suffered a series of devastating droughts since the 1990s, often followed by a dzud—an unusually long, cruel winter. 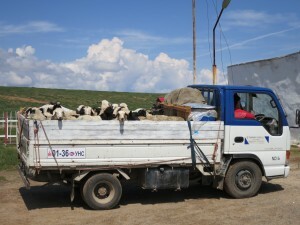 The last, in 2009-2010, killed 8 million livestock and drove many herders to Ulan Bator. 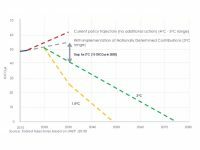 There is some evidence that these cycles are becoming more frequent and intense–but whether stemming from warming climate, or signaling a return to conditions of previous centuries, is not yet clear. It is believed that Mongolian weather may be driven to some degree by the El Niño Southern Oscillation–a pattern that definitely influences the monsoon rains, and crops, of far wider regions. The new data may yield insights about such weather patterns and their relation to the future, as part of an ongoing study of seasonal monsoon rains. Pastoral traditions remain strong, but Mongolians are now rapidly gaining access to roads, vehicles, cell phones and other modern trappings. This shift could exert increasing pressure on a land where grass and animals have up to now been the main source of wealth. The divine wind must have been so strong it wiped Japan off the map in the video except Kyushu and the Ryukyu Island chain. Why is Kyushu colored in as part of the empire? I thought they landed once and had a skirmish with a village and then left. They then came back again and that’s when their ships were swamped in a bay. Nihon is of course right: the Mongol expansion was halted at Japan’s outer islands. After emissaries demanding tribute were rebuffed, the first invasion, in 1274, involved up to 800 vessels. The invaders were wiped out when a storm sank much of the fleet, and Japanese defenders outmaneuvered the survivors. The second invasion, in 1281, was even bigger. It involved a series of land and naval battles, but the Mongols were again destroyed by the defenders and, finally, a massive storm.If the Mongol empire can be said to have reached the islands, it was only for a brief moment. Around the time of the Mongols destruction and conquest, the climate began to change causing the Mongols to fail miserably in trying to conquer other places. The different weather coming and going made it nearly impossible for the Mongols to conquer another state or army. Once they reached Japan’s outer island they began to fail drastically. They invaded, but Japan came out victorious in the end. The Mongols were doing well in warfare and had conquered lots of territory. They almost made it to Japan until their climate started changing and they went through a period of wet and rainy seasons. The Mongol empire fell most likely because they weren’t ready for the weather they had to face. All of the tree ring research along with the description of the climates at the time show how much people believe that the climate really did help the mongols. Although there are many ways listed on how it could have helped the mongols such as, livestock growth and grass growth. These factors alone cause a boom in animals such as camels, yaks, cattle, and horses. These horses helped the mongols travel far and the others could be used for food. I believe this article was very informative about the tree ring and climates during the time. The Mongols used various different types of animals to travel. They also used the animals for food. The research group used tree rings to show that unusually warm and wet weather helped Genghis Khan to conquer the world. The Mongols were constantly moving because they were determined to conquer more territory. They had many different animals, all of different types, all helping as far as food means when there was none to be hunted. 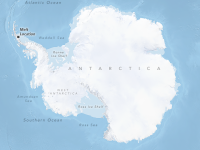 The animals thrived off of the land, but studies show that as time went on, the climate became more cold and dry, resulting in inability for animals to eat, drink, etc.This blog would be better if they explained the types of animals the Mongols used, as well as where exactly the first group/ society of Mongols was when they began to fail. Mongols conquered lots of territory and almost made it to Japan. They failed in someways but i think one way is because they didn’t know what time of weather they were facing. Climate became the change that failed mongols to conquer other places. the mongols used different animals to travel and for food needs. many ways could have helped mongols such as grass and livestock growth. The rise and conquest of Genghis Khan was influenced greatly by the climate. This statement was proven by the three tree ring research. Other aspects they gained from were livestock, fossil fuels,and grass growth. The article above is filled with more informative details about the benefits for the Mongols in that time period.